Certificates are available to treat the family to a meal at Rosati's in Anthem. 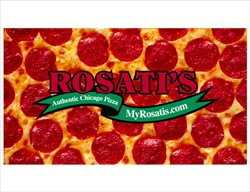 Rosati’s provides Chicago pizzas, pastas, and sandwiches that offer high quality, value and flavor. A wonderful menu of items to please the whole family. Located at 3668 W. Anthem Way in Anthem For more information visit their website at Myrosatis.com. Call the Tradesource office to order your certificates. They Do NOT take Restaurant Scrip.